Every once in a while I’ll read a motivational novel. People need to be motivated or encouraged every once in a while to do something or need that extra boost on how to live. 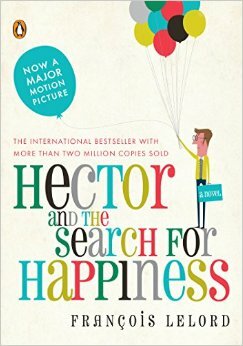 In Hector’s Search for Happiness, I found that it wasn’t an instructional or How To manual, but instead a nice guide or rather nice insight on how to be happier. I’m not saying these points and methods work for everyone but I think they make a lot of sense. I think a good motivational novel every now and then would do everyone some good – just like it did for Hector. Hector is a psychiatrists in a city that needs a lot of psychiatrists. He is very good at his job and listens to his patients very well. Sometimes he prescribes them pills and other times they just come back for more sessions because his rates are fair and they think he’s very good at what he does. But Hector finds he’s not happy, so how can he make other people happy if he himself isn’t happy. So he takes a leave and travels around the world in order to figure out the secret to happiness. Raw, vulnerable, and imaginative, I believe everyone should take a page out of Hector’s book and should travel the world to find what makes them happy. Often times happiness can be found in the simplest of places but it takes leaving to find it. I thought this book was incredibly creative and imaginative. It was such a small and such a quick read, but the values it teaches you are very important. 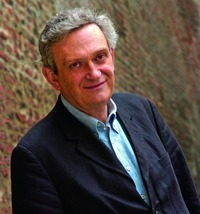 The book is told from a narrative point of view, as if someone was reading you a bedtime story. This was the first time I’d ever read something like this and thought it extremely creative. It almost sounds like it was written by a child as they almost never give specifics or go into too much detail as it drives away from the story. The points that Hector makes or what he discovers on his trip can definitely be applied, in some manner, to how we live our lives. I’m not saying that this is the key, I’m just saying what he discovers and his experiences make a lot of sense. In truth, I did see the film adaptation before the book, and I did prefer the film over the book, not because I was biased but there was just something…even more simplistic to the movie than to the book. I think the message the book is trying to send is conveyed better in the novel than the film, but the film still has this beautiful aesthetic to it that leaves audiences in awe and wonder that they should be taking steps to leading happier lives. So go see the movie, or read the book, preferably both! Because they are both absolute terrific. I often wonder what it’s like to be happy, especially because I don’t feel that I’m particularly happy with my situation in life. It’s not just about material things or my job….I want to be simply happy – Happy for the sake of being happy. Right now it’s difficult because I’m fighting depression and a health condition that affects my self-esteem and state of being, but I do want to be happy again and I hope I can be one day. I think this book is a terrific first step and has inspired me to see waht makes other people happy.